The walk begins on the platform of the Estación de Benaoján. From here head south along the platform, then drop down to the road. Continue past Bar Stop. After 75m turn left and cross over a level crossing. The road drops down, passes between two garish modern houses, crosses the river Guadiaro and you reach a sign marking the beginning of the walk to Jimera. Here turn right onto a track which runs along the left bank of the river. Soon you pass an abandoned farm with 3 magnificent old palm trees. The track narrows to become a path which shortly crosses a small wooden bridge then bears right and passes a ruined farm (10 mins). Shortly after the farm the path divides. Take the left fork which leads slightly away from the river. The path leads through a gate and shortly afterwards you’ll see that the railway is now on your side of the river. Don't deviate from this path. You eventually drop down, cross a (dry) stream via a small wooden bridge and after a short distance a concrete water channel runs to the left of the path. Soon you pass a rusting black and white sign ‘Ojo al Tren’ then come to a sign for ‘Via Pecuaria’: you are on the old drover’s path that lead from Cortes to Ronda. (1hr 15 mins). In dry weather follow the PR directions by looping hard right, crossing the railway line, then bearing left and following a narrow path between a fence on the left and brambles on the right. 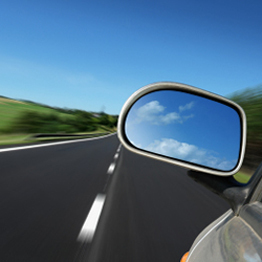 The path meets with a dirt track which in turn soon meets a concrete road. Here turn left and you arrive at the Quercus restaurant (in a converted railway shed). From here the station platform of Jimera de Líbar is just 100m along the track (1 hr 35 mins). In wet weather (when the path beyond the track can be waterlogged) don't cross the tracks. Continue on your same course, sticking to the east side of the tracks. The path passes just to the left of a goat farm, then meets a broader track. Here bear left. Just past a ramshackle fence made of railway sleepers and all manner of junk the track crosses a bridge and comes to a fork. Bearing right you pass a number of modern houses then reach the east side of Jimera de Libar station (1 hr 35 mins). If planning to lunch at the Quercus restaurant, you need to cross the tracks and turn right. After lunch, either return by this same route or take the train. It is just a seven minute ride back to Benaoján Estación along Mr Henderson’s railway line. This is an extract of one of the many walks featured in Guy Hunter Watts' book "Walking in Andalucia". Walking in Andalucía is a 260 page full colour guide to some of the very best walks in southern Spain, taking the walker on 34 routes - all starting and most finishing in beautiful villages. Buy a copy online of Walking in Andalucia. The dramatically situated town of Ronda can make a great base for a walking holiday in the mountains of Andalucía, as can any one of the picturesque 'pueblos blancos' (white villages) that nestle among the surrounding hills. 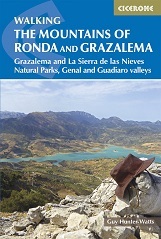 This guidebook presents 32 mainly circular walks in the Ronda region, covering the town and its environs, the Natural Parks of La Sierra de Grazalema and La Sierra de las Nieves (both UNESCO biosphere reserves), and the Genal and Guadiaro Valleys. Clear route description is illustrated with mapping, and the route summary table and 'at a glance' information boxes make it easy to choose the right walk. There is the option to buy a printed book, an eBook, or both as one deal. Walking in Andalucía, first published in 2000, has become the trusted travelling companion for anyone wishing to discover the most beautiful walks in southern Spain's national parks.